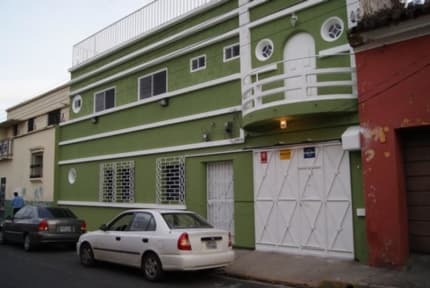 Hostel Casa Verde Santa Ana i Santa Ana, El Salvador : Boka nu! Best hostel ever, Carlos will help you with everything and anything! Our room was perfectly clean, the shower - I wish I had a similar att home! 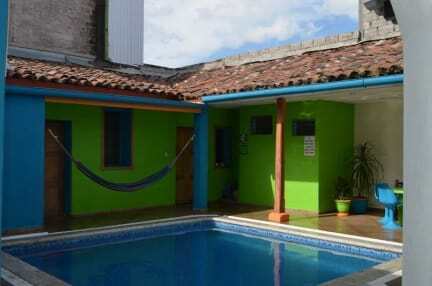 Beds är comfortable, the kitchens well equiped, the pool is cool. Carlos gave us free AC our whole stay cus he thought it was too hot. He also gladly shared his favourite places till eat, wich were amazing, and offers to drive you to any restaurant you would like, as a courtesy of the house, as he sais. You will not find a better hostel - ever! Best hostel we've stayed at so far! Super helpful staff, spacious dorms with space to hang your stuff, and the kitchen was better equiped than my own back home!